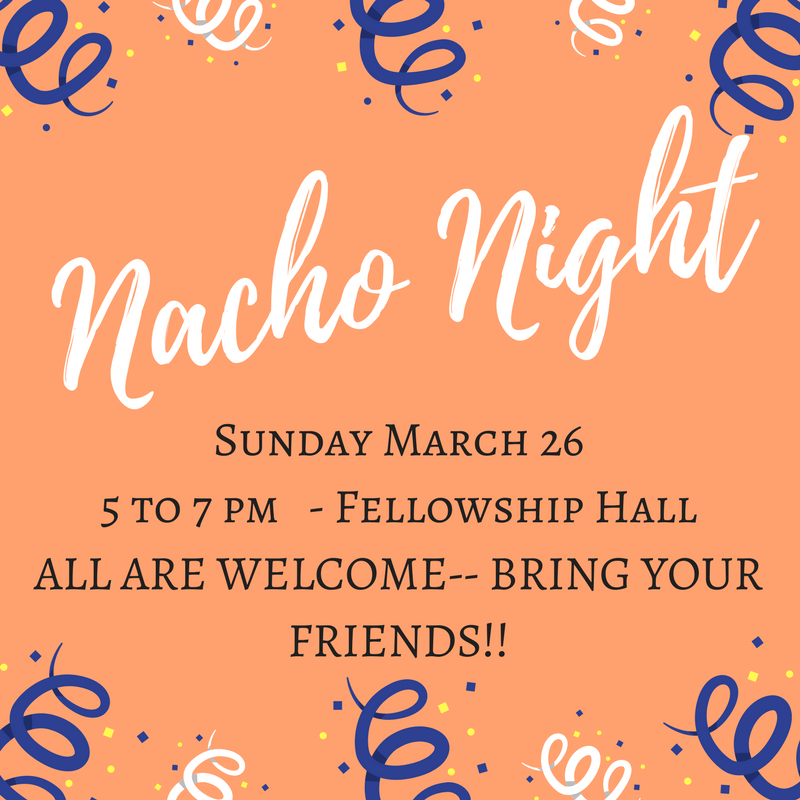 Nacho Night- come join in the fun! we are kicking off the kitchen re-opening and having a fellowship night as well! Join in the fun.